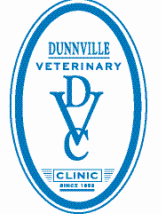 In 2012 we introduced digital radiography to the clinic. Our Idexx digital imaging unit allows us to take clear and detailed x-rays. With these images we are able to lighten, darken, zoom, and more, to focus on certain areas. For our patients, this means less images need to be taken and for our clients we are able to share images digitally with them as well as referral hospitals if needed. 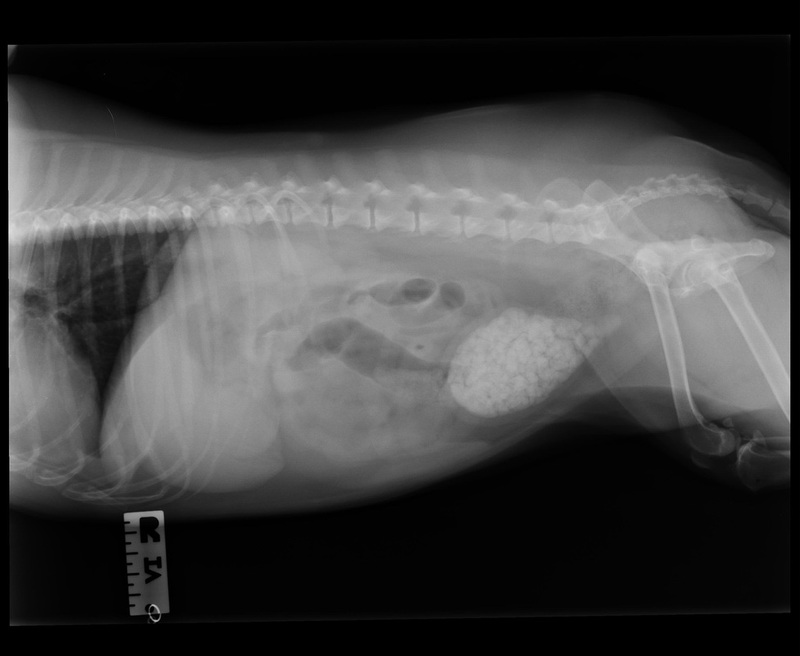 A pregnancy x-ray of a dog that also likes to eat rocks! 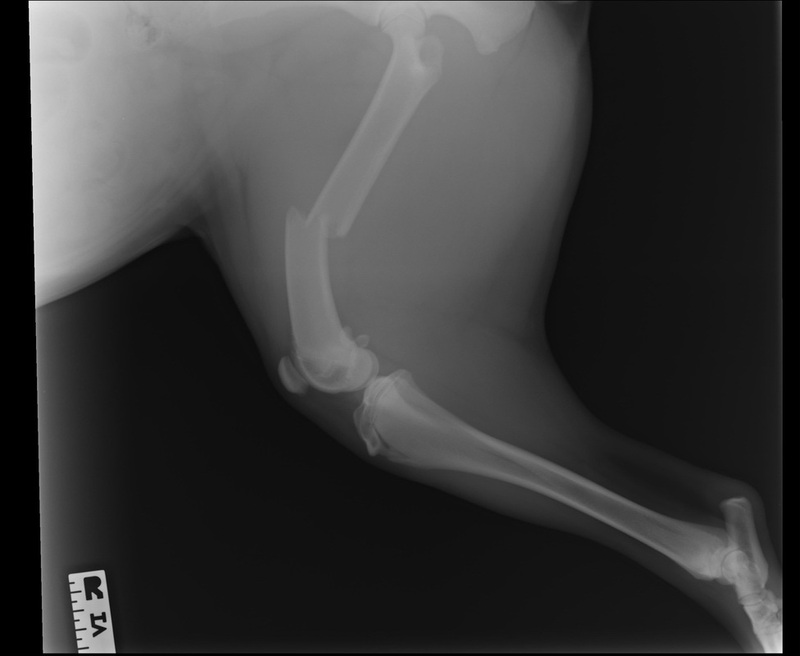 A broken femur bone on a large dog. The same leg, fixed with a plate and screws by Dr. Bob. A bladder filled with stones.